Shot on Fuji NPH400 @ 200 ASA. Expiration Date: August, 2005. Shoot Date: March 15, 2019. Camera: Mamiya RB67. Processed with Tetenal Colortec C-41 at Miami Dade College’s darkroom. In the midst of a photo walk with my homies, I stopped with them for some drinks at a nearby bar. After quickly downing my beer and waiting for the others to finish, I decided to survey the area’s interesting decorum. 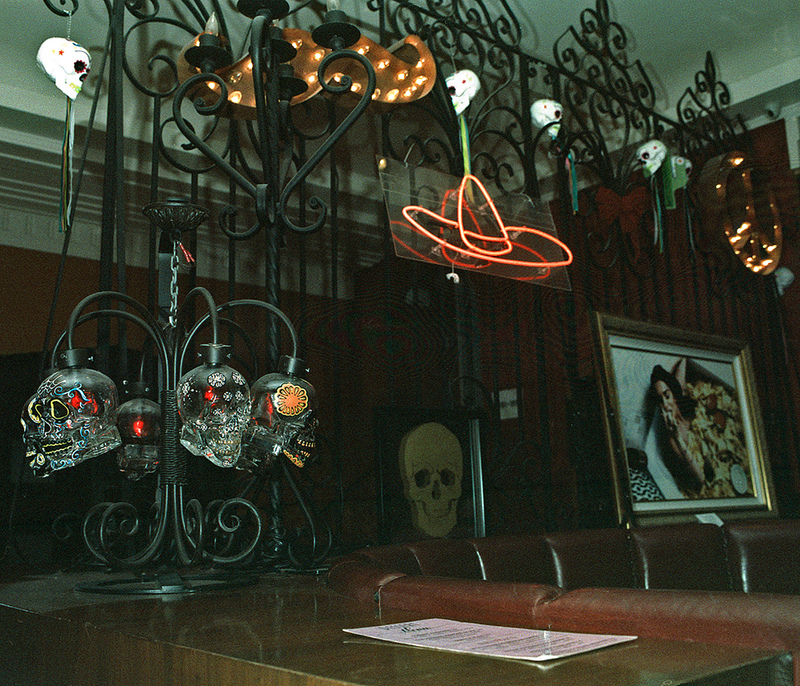 Lo and behold this space covered in different types of skulls with a particular arrangement of ones that were glowing in the light. Fascinated, I decided to use one of my ten shots to capture the elegant theme of death with a hint of Mexican before me.